WARNING: Extreme Crunchy Alert! Um yeah, this post is for the ladies, so fellas keep on moving, nothing to see here. I know what you’re thinking-WTF are you talking about!? Basically this is a reusable menstrual cup made out of silicone. 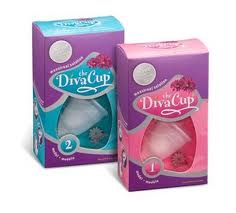 The DivaCup conveniently holds one ounce and can be worn up to a maximum of 10-12 consecutive hours. Crazy huh!? If you were like me with a heavy flow, as in changing my super tampon less than 4 hours at a time while also wearing a heavy pad, this might be your ticket. I like how you can wear it while on the go, doing activities, and swimming…hopefully soon I’ll get brave enough to do that since it’s swimsuit season already. But honestly, I was thoroughly impressed and can’t wait to use it again! It’s meant to replace your gazillion pads and tampons, made from synthetic cotton that you will use over your lifetime. I admit it, at first I was put off by this thing-a-ma-jig but have to say, after my first successful cycle of using it, I’m hooked! Yup, you read that right-I am hooked on a feeling cup. UPDATE:I have been using the cup for about four months now and LOVE IT! I have gone swimming in a pool and at the beach (multiple times) and didn’t have to worry one single minute. This is the first time I have EVER gone in the water while surfing the crimson and can’t believe it took me this long to find this little beauty. This was another one of those I.saw.it.on.BabySteals.but.quickly.dissmissed.it type of deal. Honestly, I thought it was some princess-y thing for baby girl, and I am not one of those girly girls who tells Emma she a princess, so I deleted the email. It wasn’t ’til I was poking around Facebook that I saw people gushing over the DivaCup and asking how to get one since they were sold out from the steal. I went to their website to delve further into this so-called cup that is used for your monthly visit from Aunt Flo and was pleasantly surprised. But wait. Let me back up and tell you how I got here in the first place. Ever since I started cloth diapering (CD) with Emma, I often wondered why I didn’t have a reusable option for my monthly bill. I’ve often heard and said that a pad can feel like a diaper, so isn’t it still doing the same thing by filling up landfills and taking for decades to decompose (if it ever does)? That got me to thinking and I eventually came across these mama pads, which are basically reusable pads that can be tossed in the wash with a little chemical free detergent. I gave it a millisecond of a thought then decided I didn’t feel like dealing with my mess since I’m already dealing with Emma’s. Makes me sound like a hypocrite, I know. I was really on the verge of trying those pads until I saw the DivaCup (cue the bright lights and angelic singing)! The straw that broke the camel’s back for me was, I had told my hubby he could take out my ‘just in case’ stash in his truck in order to help him clean things up and he was stoked. He took it as a free pass to toss them in the trash! Uh, not what I said. Needless to say I was pissed and thought, that’s it-I’m getting a cup! I’m tired of buying pads (that have the chemical smell like disposable diapers) and tampons that I will occasionally forget are in cuz my crimson tide isn’t as heavy as it used to be since having Emma. Done and done. Size 1: For women under 30 years old who have never delivered vaginally or by c-section. Size 2: For women over 30 years old who have delivered vaginally or by c-section. Let me give you a quick breakdown of how to use the cup. Step 1: Fold. There are 2 different folding options to choose from. Step 4: Rotate. VERY IMPORTANT! If you don’t rotate the full 360° you could have leakage, like I did at first. The removal was a bit tricky at first but I think the key is to relax and focus on the gentle pushes to get the cup out. I will say you become more ‘in touch’ with your girl parts than ever before if you’ve never explored down there. But it does feel less stressful than changing a tampon (think TSS) and worrying about leaks, especially at night. So whatcha think? Are you going to disown me now for my extreme crunchiness or have I piqued your interest even just a bit? I do know one friend that has one and swears by it so I know I’m not totally alone…Bueller…Bueller. I’ve been a Diva for 3 years. Love this product. LOVE it. I love my DivaCup! I wouldn’t live without it!! Good job! 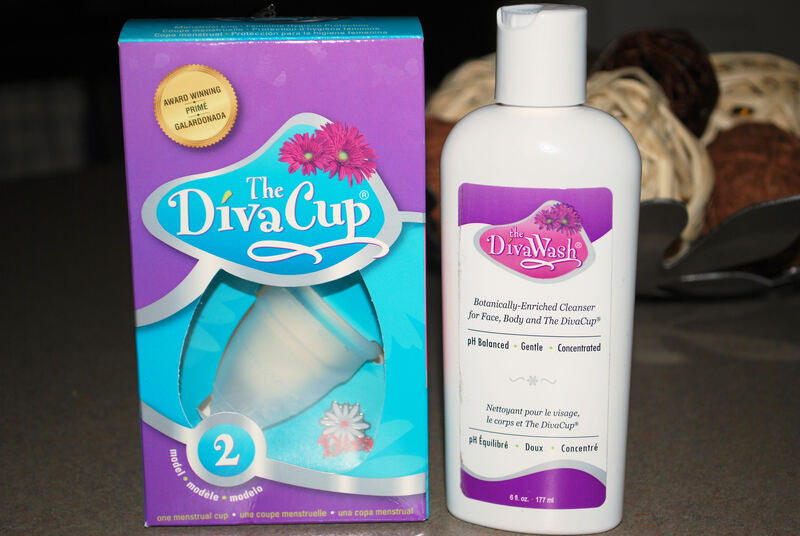 I tried the Diva Cup before I became pregnant with Jonah, but I couldn’t get it to work for me. 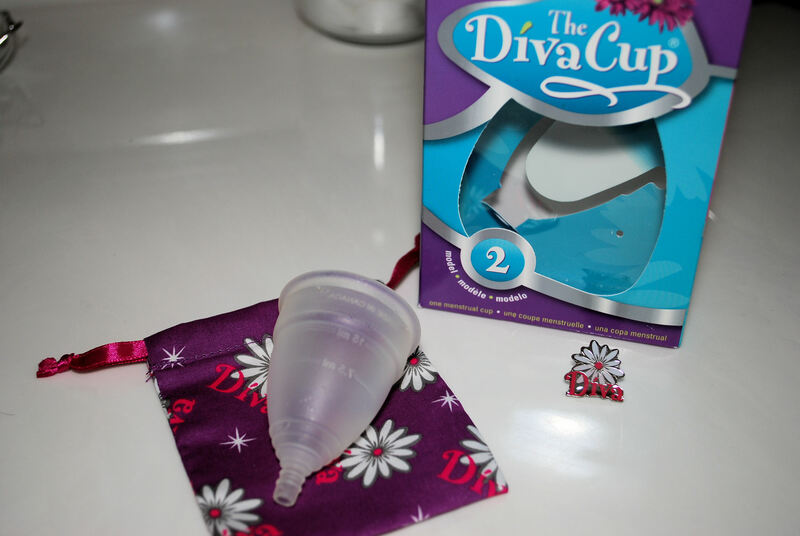 For now, I’m living in breast-feeding amenorrhea bliss, but I’m going to give the Diva Cup another try when I start needing it again. Oh no! Hopefully when it comes back you’ll be able to try again. Did you have the right size? Keep in mind that you can also use it inside out, and it becomes slightly shorter, if that’s the problem you are having. 🙂 Works great! Wow! I had no idea they have been around for so long! Thanks for sharing the Diva love 🙂 I can’t wait to tell more people about it even though they balk at the thought of it. I am 49 years old and just found the Diva Cup. LOVE it!! Wish I had found it sooner!! I have been using the Instead Softcup for 2 years now and am going to finally buy a Diva Cup this weekend. I love not having to use anything but these and it makes me feel like I have a handle on it all. I went to a waterpark the very first time using the cup and didn’t have to think twice about strings or leaks. It made the trip funner and easier to enjoy! That is awesome! Let me know how you like it. New reader here, loving your blog. I have a question about the Diva cup. Is it messy when you take it out? Do you just empty it in the toilet, wash and re-insert? Thanks! It is a bit messy when you take it out. I always try to plan to be home to empty, wash, and re-insert instead of being out in public. I’m sure if I had to, you could do like they suggest on the website of just wiping it with toliet paper then give it a good cleaning later. I have to say I still love my cup and will never go back 🙂 Hope that helps!